Print out the 2 sheets on thin card. 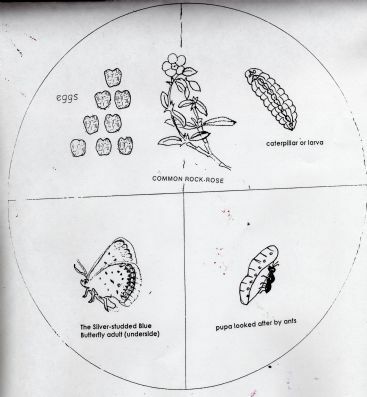 Let the children colour in the butterfly, its caterpillar and larval foodplant. Help them cut out the 2 circles and fix the one with the quarter removed on top with a paper fastener through the centre. 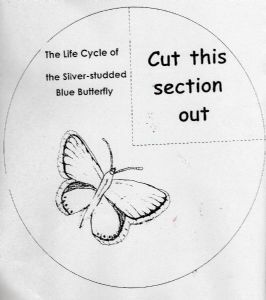 You can then sing the Life Cycle song with them as they turn the dial to reveal each stage matched to the appropriate verse of the song. 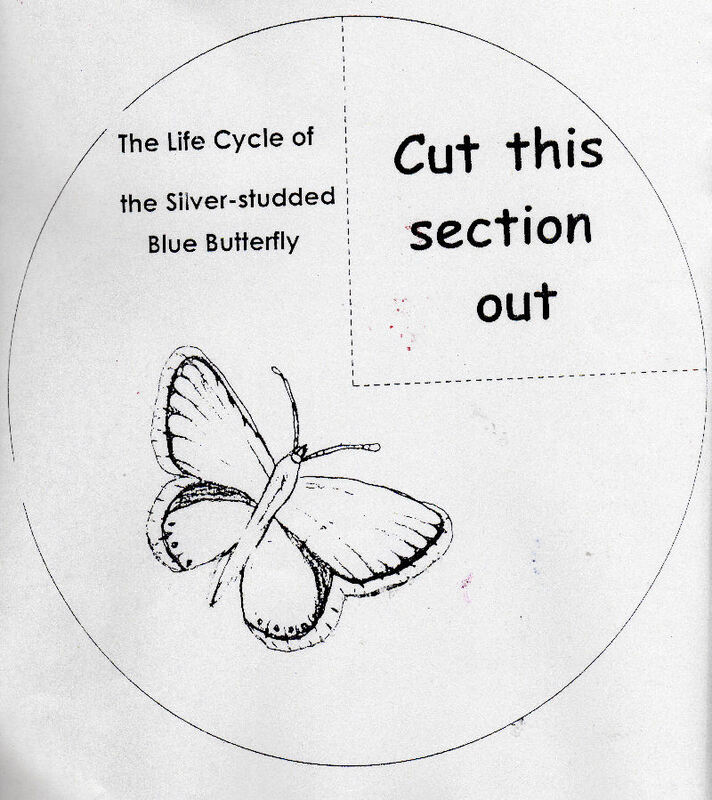 This particular dial shows a rare and endangered species special to North Wales; but you can redraw the dial to show a different species of butterfly and its caterpillar and foodplant (each species has a different larva and foodplant) - or stick photos on.